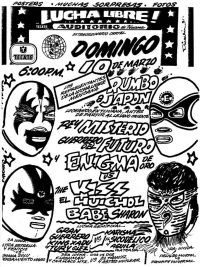 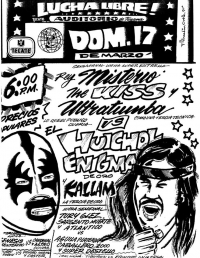 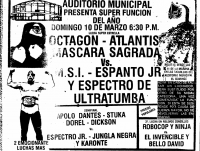 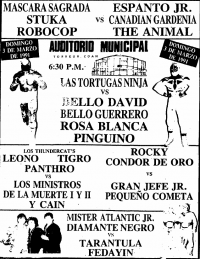 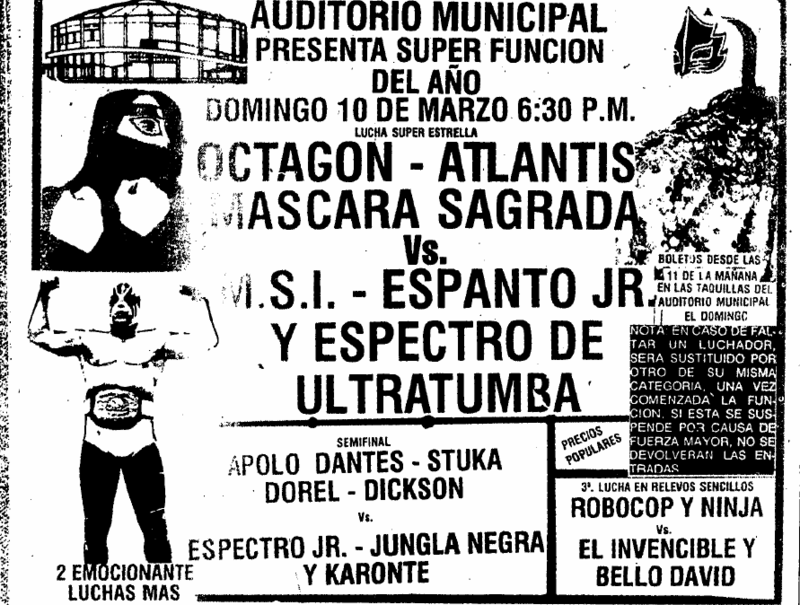 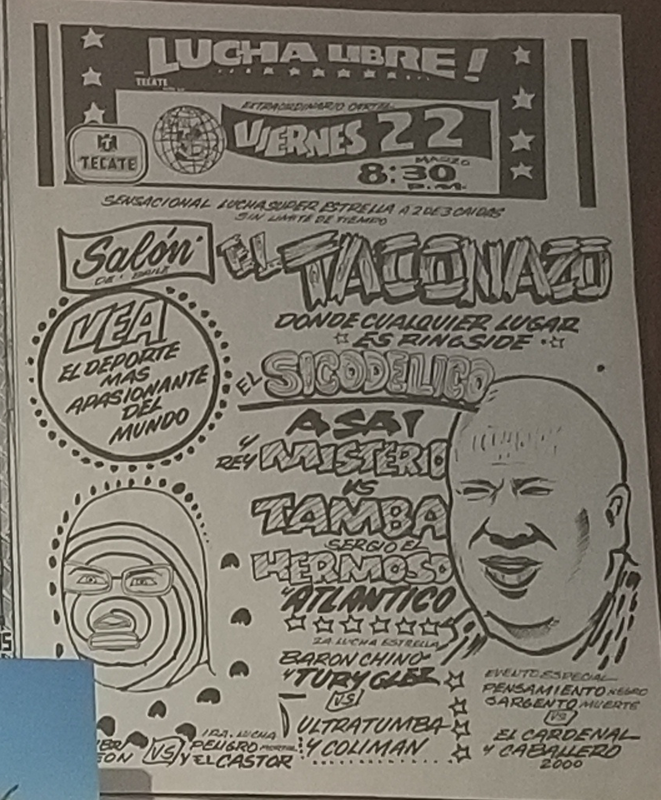 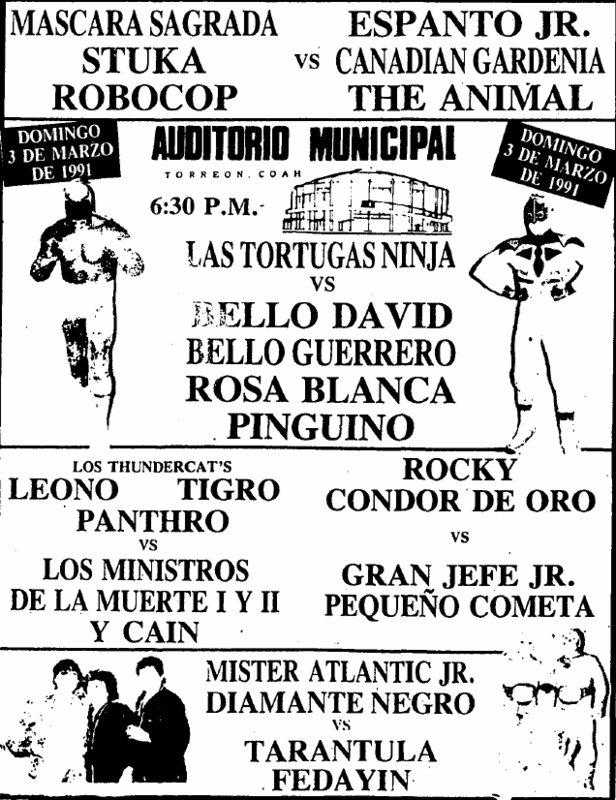 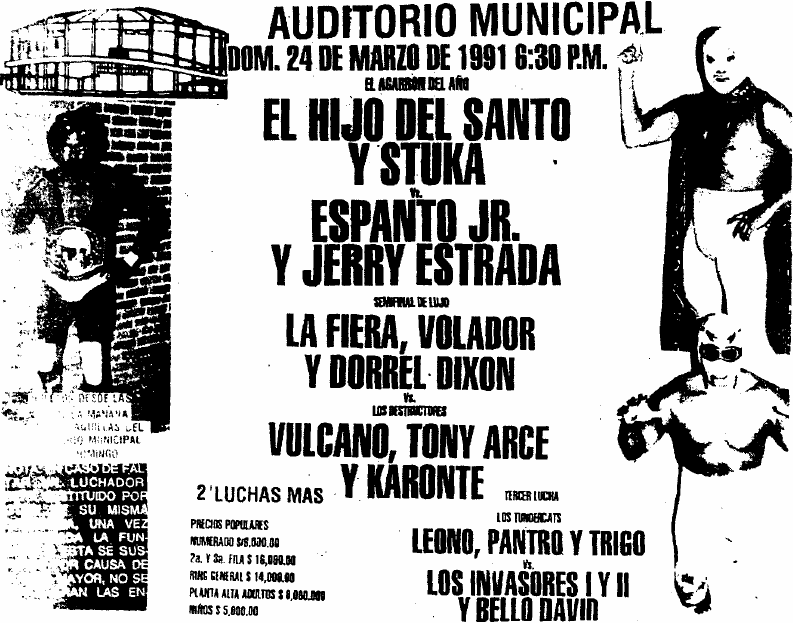 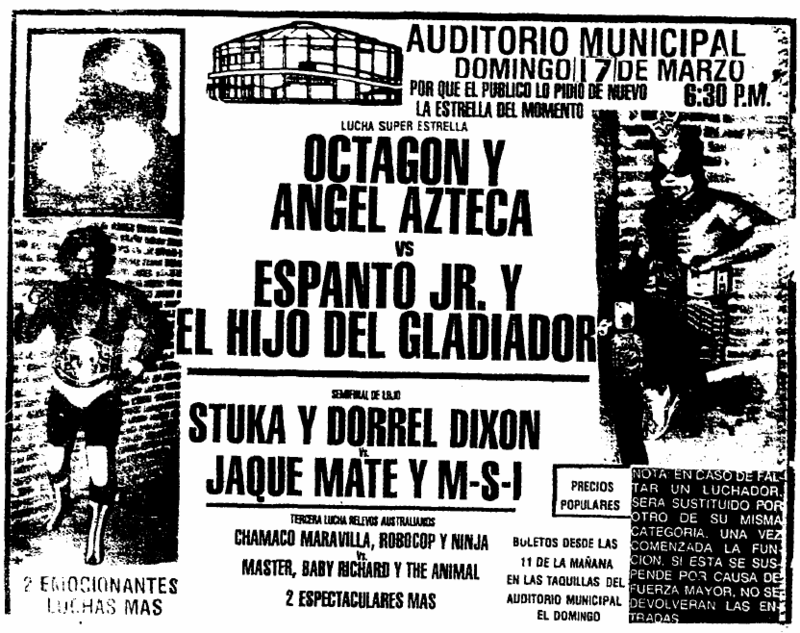 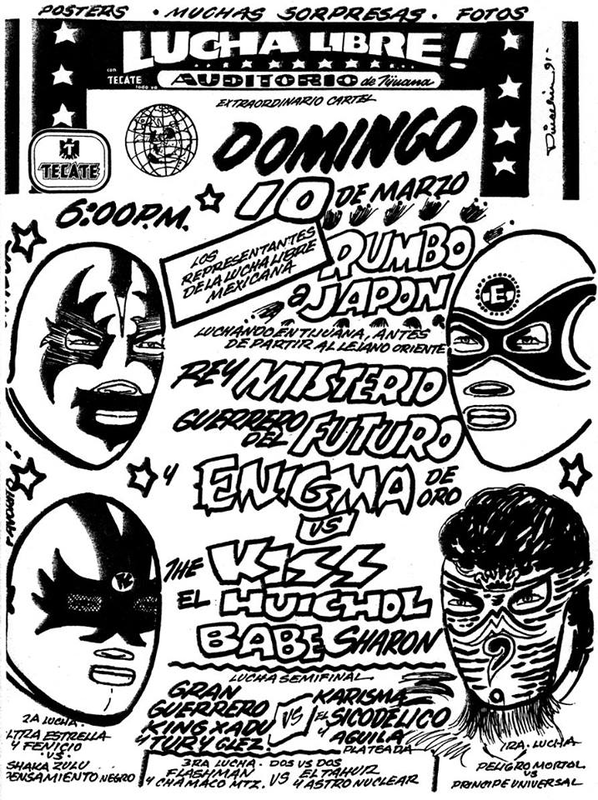 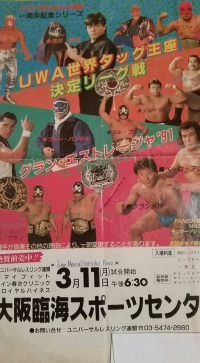 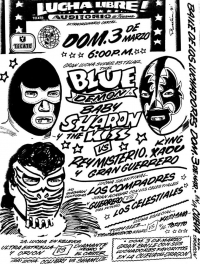 5) Baby Sharon, Blue Demon, The Kiss vs Gran Guerrero, King Xadow, Rey Misterio Sr.
Mascara Sagrada advertised for weeks, replaced by Leono with no explaination. 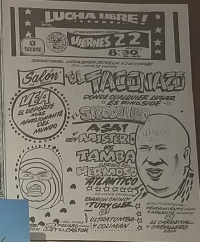 Crowd not happy. 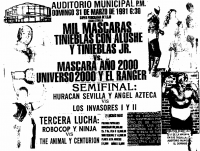 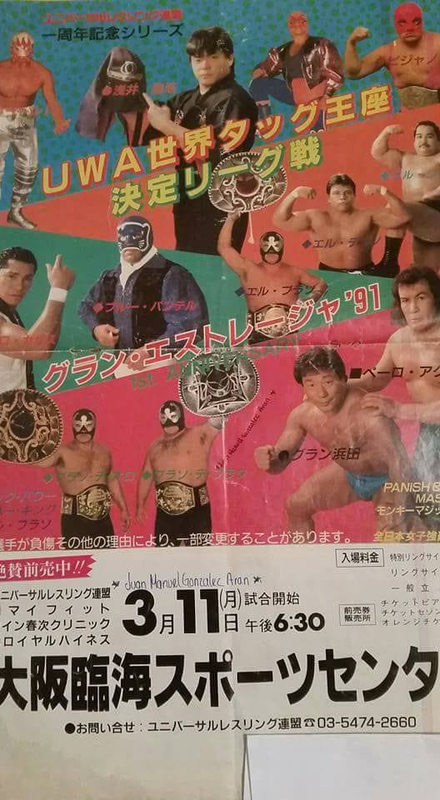 3) Silver King & Texano b Bulldog Punish K. T. & Coolie Crush S. Z.
Ruben Juarez was advertised at first, but it changed to Ninja before the show. 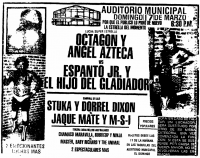 Manny Gumzan said Juarez was banned from wrestling on shows for going against him in the union, and everyone else would be banned if they worked with him. 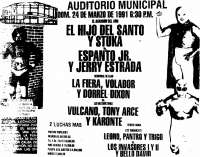 5) Silver King & Texano b Bulldog Punish K. T. & Coolie Crush S.Z. 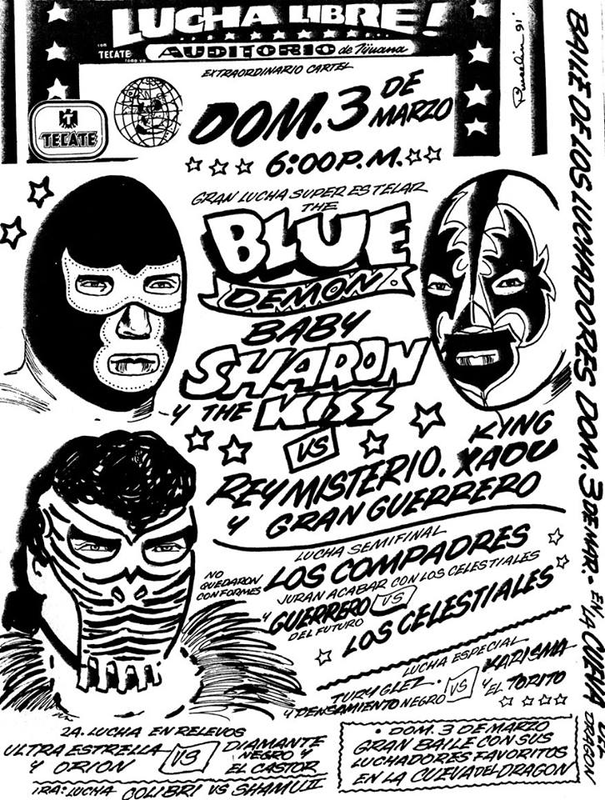 3) Monkey Magic Wakita b Bulldog Punish K. T.
5) Ángel Azteca & Octagón vs El Hijo Del Gladiador & Espanto Jr.
5) Dany Gardenia, El Hijo Del Gladiador, Latino vs Conflictus, Megatron, Sergio Room Jr.
2) Caballero De Plata & Rocky vs Gran Jefe & Gran Jefe Jr. 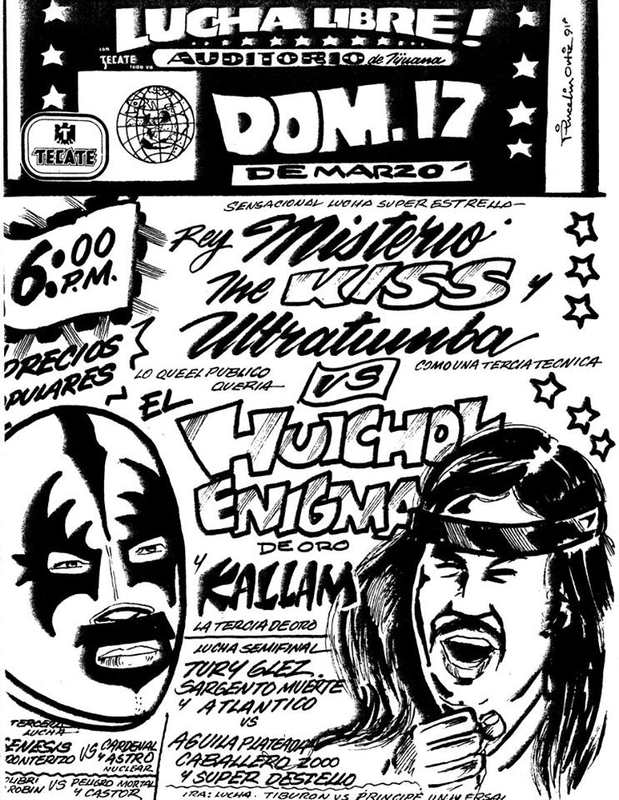 Event Notes: benefit show for Roberto Rangel. 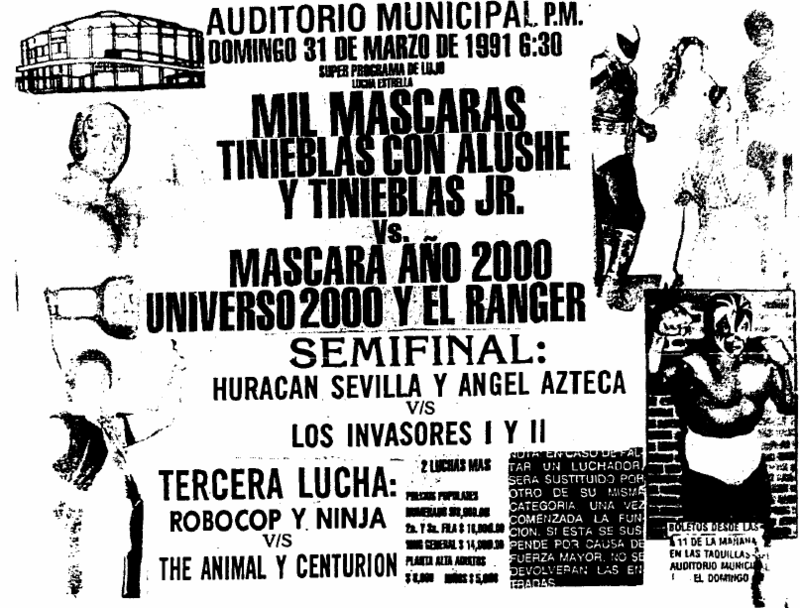 Also included a minis match.